Whether it’s heating or cooling, Mitsubishi ductless units can turn any room, zone or your entire home into an oasis of comfort. You don’t have to install ductwork to make a living space comfortable. 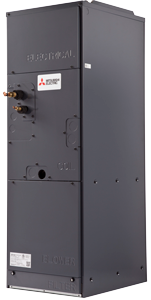 Mitsubishi Electric ductless solutions require only a 3″ opening for two refrigerant lines, control wiring and electrical connections. 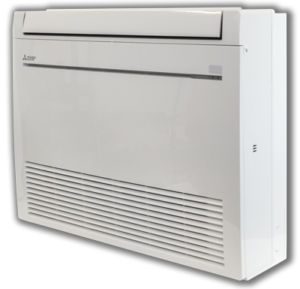 Mitsubishi Electric ductless is the perfect solution for new additions, for renovated bedrooms and office spaces, for garage and basement workshops or studios. And it’s a lifesaver for any home that can’t accommodate ductwork. Is it time for you to install a new system in your home? You might be thinking that you’d like to do something more than just having window units serving your needs. It is very common today for homeowners to have a central heating and air conditioning system installed in their home to help with both the cooling and heating of the house. Just below you’ll discover why working with our contractors will help you to best meet your needs. Our contractors can install a wide range of equipment which is capable of maintaining a comfortable temperature in your home. We can install units that can be used in an office or commercial setting, as well as residential homes, and we design them so that they are capable of maintaining comfortable temperatures regardless of the situation. These systems can be less expensive than you might think. For some single-family homes, the cost can be as little as a $2,000 but of course commercial buildings can be a bit more and even run into the hundreds of thousands of dollars. It is always recommended that you get more than one estimate just so that you can understand which is a good value. You’ll also want to make sure you’re dealing with a reputable business and one that has the experience to do the job right. The most usual reason for people calling on an HVAC company is to see about having a central system installed. There are different types and among these include those that run on electricity, gas, propane and those that use thermal energy. All of these systems can usually be installed in a reasonable time frame. Even so, it is best to have the insulation start before the summer arrives. This will help you to easily get a number of bids and the time to make a final decision on which one suits you best. If you’ve already had an HVAC system installed and it’s having problems, then you might also want to call on companies that are capable of repairing that system. One of the most common problems with these units is they often give out right when you need them. This can happen because of a problem with the units cooling or it’s motor or even a problem with its filter. Sometimes it is not a problem with the unit itself but rather the ducting system which is failing to properly transfer cold to different areas of the home or office. Units like these will need to have the ducting cleaned from time to time. The biggest problem, however, is electrical. As well as these problems, there are also others that may require calling on an HVAC repair company to fix the problem. When you do plan to have a system installed we recommend a performance-based heating and air company as they are the best in our opinion. One of the main things that you want to make sure of is that the HVAC company you call on is very experienced and knows how to handle all the major issues related to your unit regardless of its size. If your unit is one that has been recently installed then you will likely need to call on that same company which did the initial installation and have them make any necessary repairs under the warranty. It is common for companies to provide at least 6 months on the parts which will save you on any repairs. Larger buildings will sometimes have a problem with the furnace and will require the heating system to be serviced. Older furnaces will usually take extra time to repair. It is common for their parts to be unavailable and in that case, the parts will need to be special-ordered. Newer systems can usually be fixed more quickly and in some cases, they can be serviced in less than a single day. An average furnace will last up to 10 years if you get one that has a reputation for being good quality. Make sure that you choose a company with enough experience to install it and use only high quality systems. It will be necessary to get a professional in your local area to install the unit. It is important that you get different bids and talk with the different companies you’re considering with enough time to make your decision before the summer hits. If you live up north you’ll want to start contacting companies in February. This will mean that you will have the time needed to consult several companies and then have the system installed by April or May. Quality Companies can provide maintenance for almost any kind of unit. You should have your system maintained regularly as this will prevent a lot of small problems and extend the life of the unit. There are a number of service companies that can be easily found online. It’s highly recommended that you get several estimates as this can save you hundreds of dollars in some cases. When you have a problem with your unit regardless of whether it’s a baseboard heater or central system, the company you call on needs to know how to repair it so that it will function as it should. Older systems might require ordering parts which will mean it takes a bit longer to fix. Some heater repairs can be done more easily. For those who don’t really want to install a new system, it is likely that a professional can repair the existing one and you should call them to come and see exactly what the problem is. Sometimes the problem is simply a circuit breaker and in other cases, it’s a major problem within the system. When calling on a company they will ask you on the phone to tell them what system it is that you have. The company will set a time to come out to look your unit over and determine what the problem is. While they are there it will be a good idea to also ask them for details on installing a new system. When you do decide that you need a new AC unit you’ll want to get one of these types of professionals to install it. 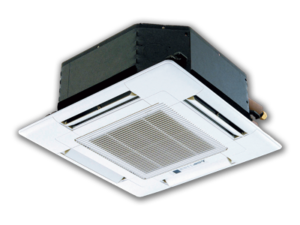 The larger the structure, the more it is recommended that a central air system is used because it is considerably more expensive to install individual units in such a large structure. For many different situations, a central heating and air conditioning unit can be the best choice. They can often be provided with the better overall deal because it is all installed at once. They provide year-round comfort throughout your home or office. Most people who are currently using window-based systems will choose to go to a central system when upgrading. When compared to heating with wood or pellets this type of system can save a considerable amount of money over time. When deciding on a system it will be necessary to contact a number of contractors and to get estimates from them but the most important thing to keep in mind is to get a system that can provide you with temperature control in your home or office and a unit that will last for many years. Commonly a quality company will have dozens of years of experience. In some cases, this can be several decades of experience and this helps to better ensure that you can get the best possible service. They will be able to put together a complete estimate that will include all the cost to install your unit and this can include a furnace as well as air conditioner. When you finally decide to have a furnace installed it is likely because you can see the value of upgrading. You will likely see that it is a good decision economically and if it’s for a business then having a reliable system is as much or more important than in a residence. After getting in several estimates you will then want to make a final decision on who you think can get you the best results for the best price. You’ll want to consider how long it will take the company to complete the job as well as the type of equipment that they will use and their overall experience along with how much the final charge will be. Another option is to see if a contractor has a unit they can install for a discount. If so, it’s another option you can take advantage of. If you’re a business you may speak to other business owners and ask for their recommendations or you may have some friends or family members that have had a unit installed recently. It can often pay off considerably if you take some extra time when researching the company you end up using to install your new unit.